Sarah Perry is the author of The Essex Serpent and After Me Comes the Flood. A number one bestseller and Waterstones Book of the Year 2016, The Essex Serpent was nominated for a further eight literary awards, including the Costa Novel Award 2017, and the Bailey's Women's Prize for Fiction 2017. After Me Comes the Flood was longlisted for the Guardian First Book Award 2014 and the Folio Prize 2014, and won the East Anglian Book of the Year Award 2014. Sarah has been the UNESCO City of Literature Writer-In-Residence in Prague and a Gladstone's Library Writer-in-Residence. Her work is being translated into nineteen languages, and her essays and fiction have been broadcast on BBC Radio 4 and RTE 1. She reviews fiction for the Guardian and the Financial Times. 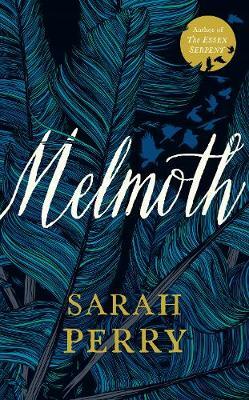 As with her other brilliant novel, The Essex Serpent, Perry has found a tantalising legend - in this case that of Melmoth the Wanderer - and weaved a gripping, epic, deeply thoughtful narrative with it. Mysterious happenings in modern day Prague lead our lonely heroine, Helen, to investigate sightings of a tall, dark clad woman, who appears before people at their lowest ebb and tempts them to join in her fate. It is genuinely scary and proudly gothic, but also original, philosophical and satisfying. One of this year's stand-out novels for me.